February 11, 2016 – San Francisco, CA – Gallery Wendi Norris is pleased to present Erasure, artist Ana Teresa Fernández’ second solo exhibition at the gallery. The artist will be exhibiting her latest video, also titled Erasure, the film of a performance she enacted where she carefully painted her own body black until only glimpses of color remain visible. 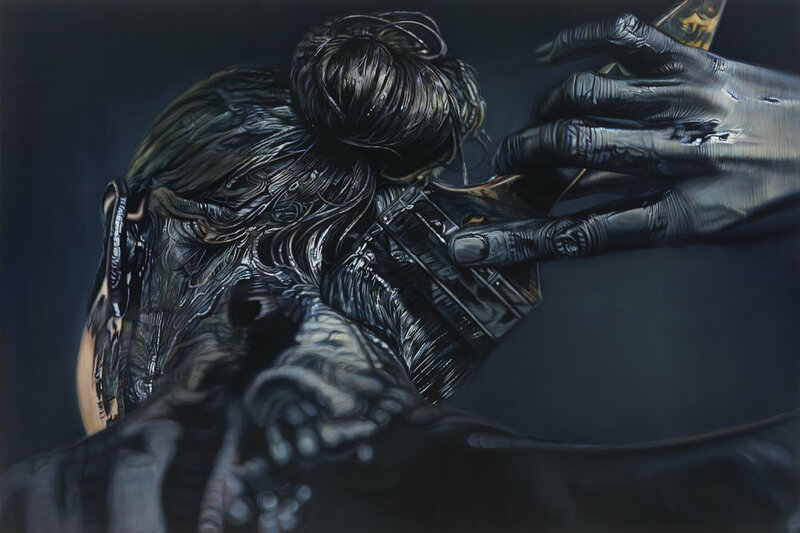 Additionally, she will be showing four new paintings produced in her characteristic hyperrealist style, as well as a new sculpture and text installation. One painting will depict a mouth, another shows eyes, another reveals arms, and the last shows the back of a head, all painted on flat black backgrounds. She will exhibit a new sculpture, a larger than life wooden ladder set atop destabilizing rockers. A text installation describing the act of listening will be embedded into the gallery wall. Together these artworks, each representative of a component of the human body, suggest a political body being torn apart. The series of works that comprise Erasure derives from the 2014 disappearance of 43 young male students from Ayotzinapa, Mexico, who were presumably killed for staging protests that disrupted their small town. Fernández pays tribute to these people, still missing and unaccounted for, as she confronts us with contemporary stories of censorship, hinting that the lack of justice in the disappearance of the young men is intentional, due to governments who fail to protect or value the individual. Mimicking this notion in her paintings, the carefully layered, matte black backgrounds of the paintings are absent of information—abstract ground that recalls black squares used on social media to obscure users’ profiles in solidarity with the disappeared young men. 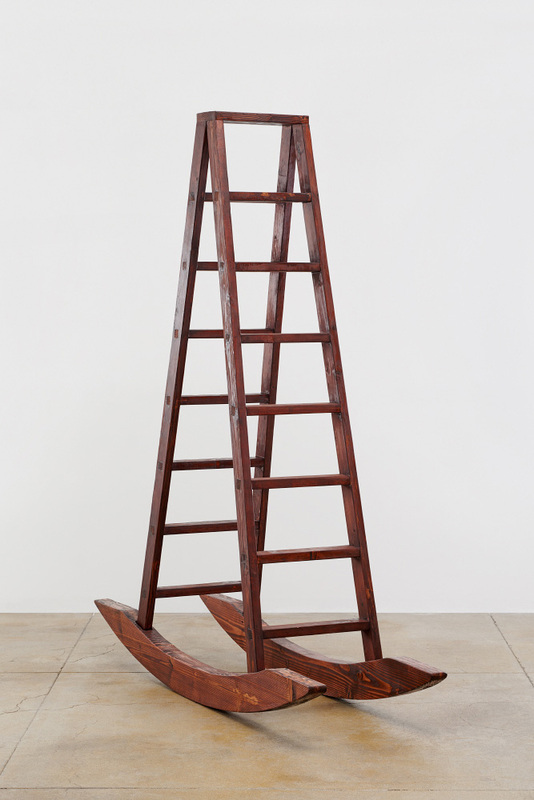 The wooden sculpture is designed to look like a traditional Mexican ladder, suggestive of the underrepresented Mexican manual laborers in the United States who remain outside of popular discourse. Their precarious position and inability to advance socially—whether due to poverty, immigration status or other means of oppression—is reflected in the instability of the ladder. 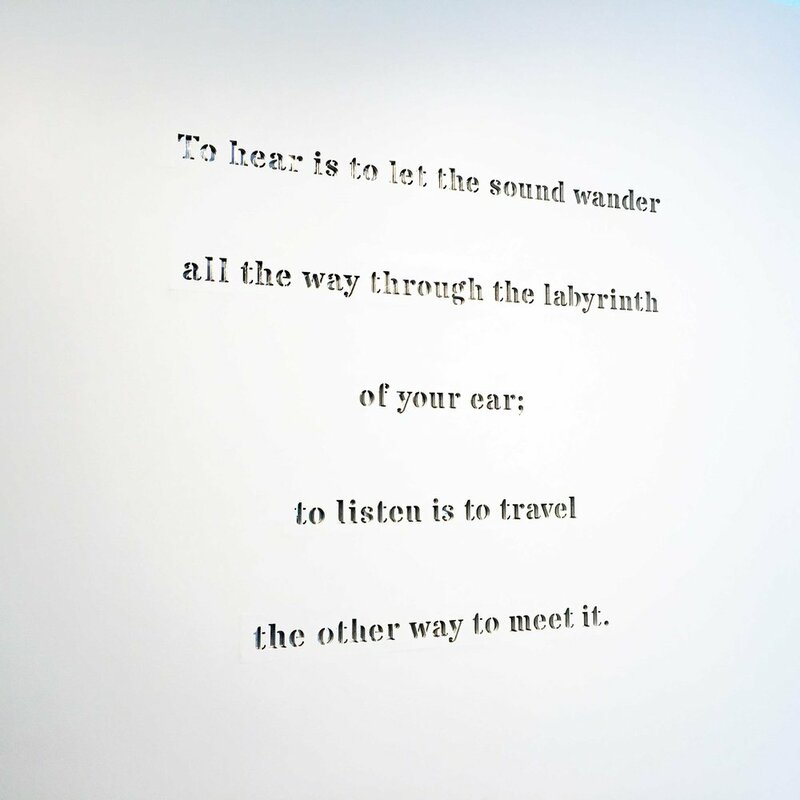 The text installation, which reads, “To hear is to let the sound wander all the way through the labyrinth of your ear; to listen is to travel the other way to meet it,” is made of mirrors inset into the wall. * With this body of work, Fernández responds to the political situation in Mexico and she continues her quest to give strength to the unheard and unseen, the powerless among us.